Marc Jacobs was seriously injured in the Yellow Cab crash in August 2005. CHICAGO (WLS) -- Facing what it calls an unpayable legal fare, the company that owns Chicago's Yellow Cab filed for bankruptcy on Wednesday. 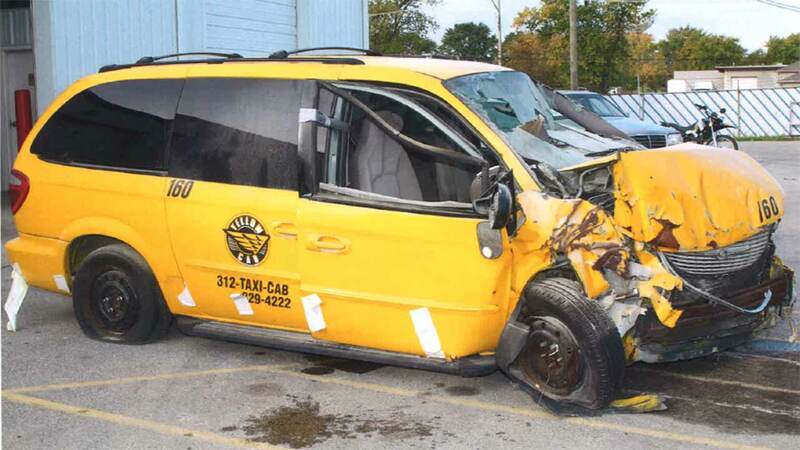 The city's highest visibility cab company was hit with a $25.9 million court verdict on Tuesday, in the case of a 2005 accident that left an attorney permanently brain damaged. "Our assets were less than our bills after the verdict," Yellow Cab President Mike Levine told the ABC7 I-Team. "We couldn't pay it off." "It is unquestionable that the taxi company, as the apparent principal for the driver, was negligent in this horribly tragic case," attorney Robert Clifford said. Clifford represents Marc M. Jacobs, who was a passenger in a Yellow Cab when it crashed on the Tri-State Tollway August 31, 2005. "An entire family has been injured because of a company's negligence, a company that holds itself out as one that can be trusted to safely carry people to their destinations," Clifford said. At the time of the accident Jacobs was a successful real estate partner at Barrack Ferranzzano Kirschbaum & Nabelberg, a prominent firm in Chicago. According to the Clifford Law Firm, the Daley Center jury assessed nearly $25 million in damages to Marc Jacobs and $4.5 million in damages for loss of consortium to his wife, Deborah Jacobs. She has been his main caregiver for the last decade. Jacobs, 44 years old at the time of the accident, was returning to his Hinsdale home by cab after a late client dinner when the Yellow Cab in which he was a back seat passenger attempted to exit I-294 at Ogden Avenue. "The taxi careered out of control onto a grass drainage area adjacent to the ramp when it suddenly vaulted 32 feet through the air and slammed into a concrete barrier. The tremendous crash into a concrete barrier resulted in severe permanent brain damage to Jacobs. After many surgeries and long-term rehabilitation, Jacobs is unable to continue his high-level work in his same capacity at the law firm," according to a statement from Clifford Law. Yellow Cab will appeal the verdict, according to company president Levine. He also says that the company will continue to operate during the Chapter 11 bankruptcy. "Passengers on the street won't notice anything different," he said.